In the aftermath of the school shooting in Parkland, Fla., that left 17 dead in February of 2018, the students of Marjory Stoneman Douglas High didn't cower in the corner. They didn't hide away from the media or cross their fingers at home in hopes that our politicians would finally take action on gun control. In fact, they did quite the opposite. 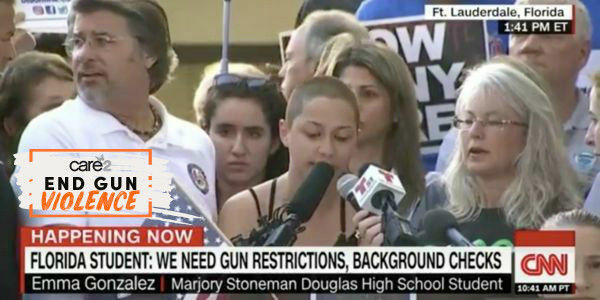 They stood up, and became the face of the movement against gun violence, holding rallies, participating in panels and telling everyone who would listen that "enough is enough." So moving were their powerful calls for change that many Americans thought that Trump and the Republican controlled-Congress would be unable to do nothing. Of course, we know now that that is exactly what they did. But their efforts were not in vain. Millions of Americans were galvanized by their determination for change. On March 24th of last year, a little more than a month after they had experienced the horrible tragedy, they marched on Washington for the first March for Our Lives rally in support of stricter gun laws. But while their actions and bravery were commended by many, others have taken the opportunity to attack the students in the public sphere. Gun supporters, politicians and pundits have spread hateful lies about them for more than a year. These cowards have called the students stooges of left. They've suggested that the shooting didn't happen and that the students were mere "crisis actors." One was even mocked by a Fox talking head on Twitter for not getting into the college of his choice. It sounds ridiculous, but unfortunately, it's true. As these students are attacked, it's important that they know that we have their back. Please sign this petition to show your support and add an encouraging comment telling the students what you will do to support their efforts for more responsible gun laws. Be brave and join these students. Tell them you stand by their side.